Who woulda thunk that some goat milk and some lemon juice could create something so outrageously good? 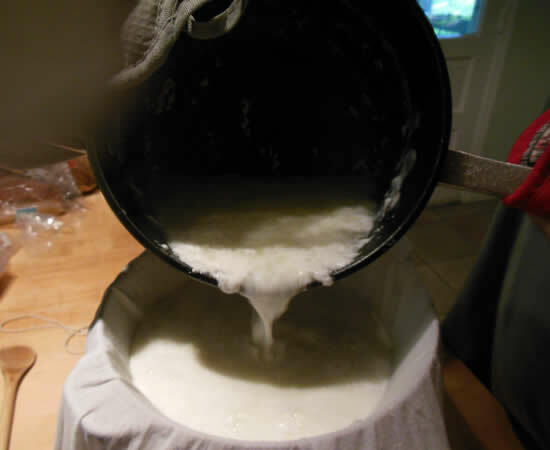 Victor started with the cheese-making a while back with homemade ricotta. We’ve had it a few times – mostly as a dessert. It’s really awesome, rich, and fun to use. Today, he decided it was time to try chevre. 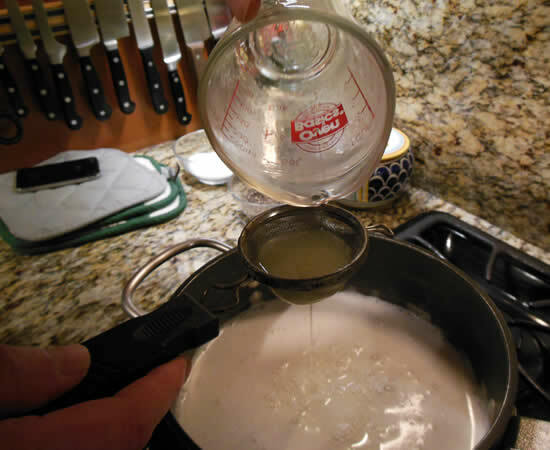 There are several ways to make a homemade chevre, with lemon juice, vinegar, buttermilk, and any number of commercial starters with a score of unpronounceable ingredients. Today, we opted for the basic lemon juice. 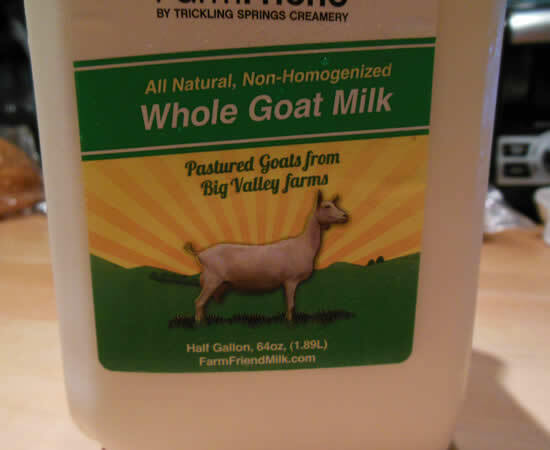 Start with a half-gallon of goat milk. NOT ultra-pasteurized – which you shouldn’t buy, anyway. Add lemon juice and stir. Let sit for 10 minutes. Pour into a cheesecloth-lined colander. Victor used a flour sack towel. 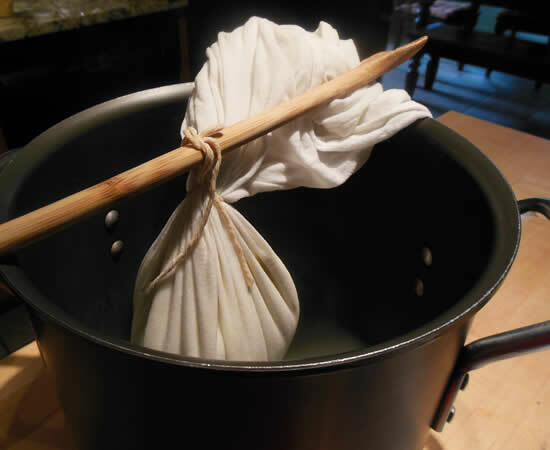 Hang the bundle over the pot to drain with a wooden spoon. Shape it into a log and chill. 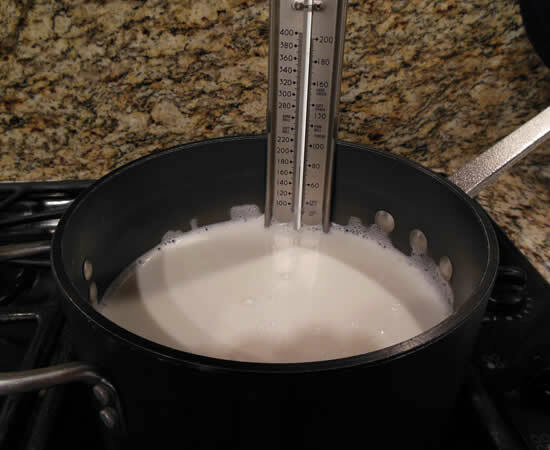 Slowly heat the milk on the stove until it reaches 180°. Gentle bubbles should be forming and the surface will look foamy. Turn off the heat. 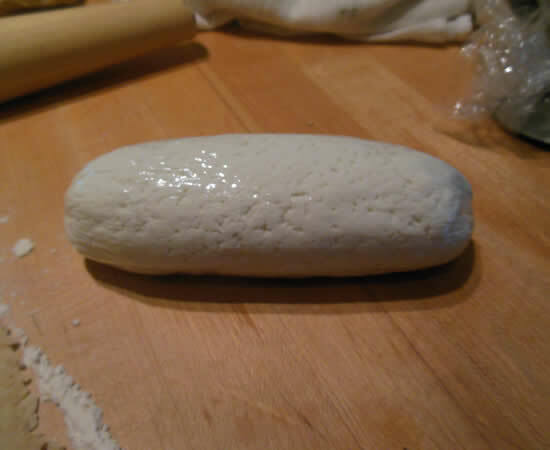 Use your hands to pat and shape the cheese into a small wheel or log. The flavor and texture of the cheese usually improves a little bit if you refrigerate it for a few hours before serving. 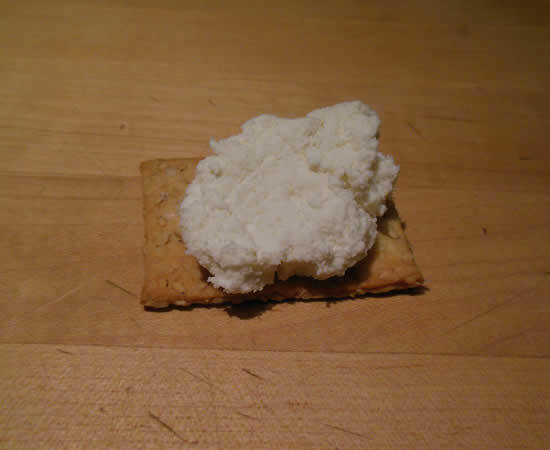 The goat cheese should stay fresh in the refrigerator for 1 week. This really, really is awesome! It’s not difficult and can be made with items many folks already have at home. And if you have kids? 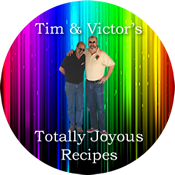 A great project to get them to see how real food is made and a way to get them to eat something different. We’ll be making more. And more. And more.